Sunrise vs. Sunset: Which Magical Time Do You Prefer?Sunrise vs. Sunset: Which Magical Time Do You Prefer? As a photographer, you have to take equal advantage of both the sunrise and sunset. However, that doesn't mean you can't have a favourite. I've put together a few of what I believe are the advantages and disadvantages to shooting at these two times in the day. I'm based in Southern Ontario, Canada, on the outskirts of the Greater Toronto Area so some of my reasons may be biased to the location and environment. But, for the most part, the factors are universal. The sunrise image below was taken from the breakwater at Port Credit in Mississauga, Ontario. 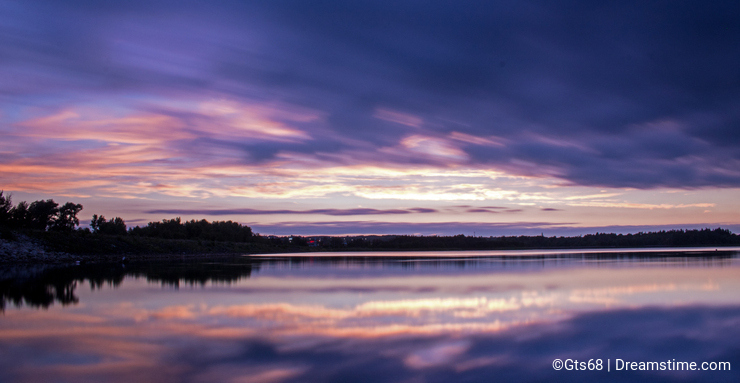 The sunset image below was taken at Island Lake Conservation Area in Orangeville, Ontario. The sunset photo was taken the night before the sunrise photo was shot. If you don't like crowds and need to be free to roam where restrictions might be enforced later in the day, sunrise is for you. Especially in the summer months when the sun can rise prior to 6AM, sunrise is a lonely time void of human life. Even in the most populated areas, you will find little trace of human activity. The lack of people extends to the authorities. I don't condone breaking the law. I do feel that certain barriers for the sake of safety should be seen as a suggestion and not a steadfast rule. In the hour prior to and following the sunrise, there is a certain freedom to go beyond the warning signs. Of course, with that, you must take full responsibility for your actions and be prepared to help yourself if things go wrong. This lack of people factor extends to your drive to the location. Highways that will be bumper to bumper in a few hours are relatively vehicle free in those early hours. This continues when you arrive at your destination where you'll most likely find an empty parking lot that will be full a short time later. Keeping with the parking theme, you can often avoid parking fees prior to 'business hours'. From a technical standpoint, that time of the day is usually less windy so there is little movement in the vegetation and water. This helps sharpen your necessarily long exposures. The obvious sticking point with a sunrise, especially in the summer months, is that early wake-up time. If the sun rises at 6AM and your location is an hour's drive away, that means getting out of bed by at least 4AM. The temperature can also be a major source of discomfort, no matter the time of year. If you're near a major centre, your drive to the location might not be as trouble free as you'd think. Some highways have lanes and exits randomly closed overnight for construction and maintenance. This can cause an unexpected single lane traffic jam. Then, there's the wildlife. This time of the morning is the time to shine for many animals. This is when they feed before being threatened by humans. The other wildlife to look out for is the sleeping homeless person. Although not a huge threat to your safety, it can be awkward to trip over a body stuffed into a dirty sleeping bag. The obvious advantage is not having to wake up before the rooster to catch a sunset. This is a safe time of day because there's generally other people around if you feel you're in danger and need help. And, just maybe, you want people in your sunset images. The wind that was negligible at sunrise can actually be an asset at sunset. 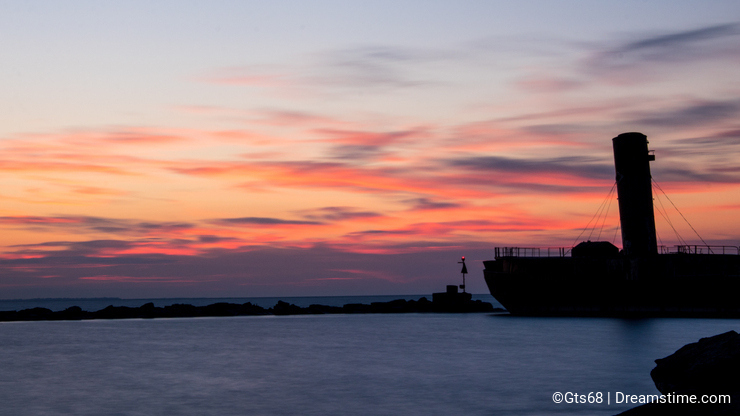 Fast moving clouds can give your sunset shots a great streaky blurred sky. Did we mention the crowds? Actually, most people don't last outside after the dinner bell but there still can be a lot of people milling around at sunset. Parking can be an issue. Even though many have moved inside, they haven't gone home. Parking lots can remain quite full and you may have to pay for the time your vehicle is parked there. Along with those crowds will be those in authority. Your movement to capture that awesome composition will be somewhat restricted. There will be those around that are prepared to reel you in if you stray to far on the dark side. As for me, I prefer the sunrise in the summer months but that preference switches to the sunset in the winter. I don't mind the early rise time, as long as the temperature is somewhat comfortable. Once winter comes, those early mornings can be torture on the fingers and toes. For someone who has experienced the evil kiss of frostbite, I do my best to avoid turning parts of my body to ice. I am not a crowd person so that is definitely an appealing factor of the sunrise for me. As you move out of the summer months, this becomes less of an issue with people back to work or back to school and having little desire to be outdoors. I shot a lot of Safari in Kenya, we slept and swamm all day. only tried to shoot at daybreak for three hours and again at Sunset. as the Big Cats of Africa know well, the daytime is for sleeping. I agree with your comments. I'm a night owl and it's hard to get going early! Autumn sunrise: it's not so cold and it doesn't rise so early. Excellent photos and very well written. Thanks!